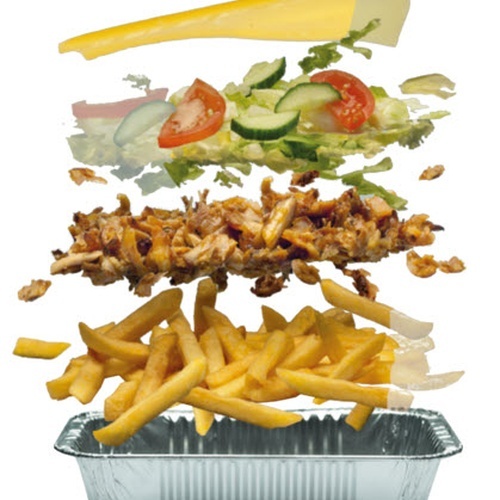 A Kapsalon ("hairdressing salon" in English) is a dish made of fries covered with kebab or shawarma, toppled with golden cheese, put under the grill so the cheese melts, and with salad on top. 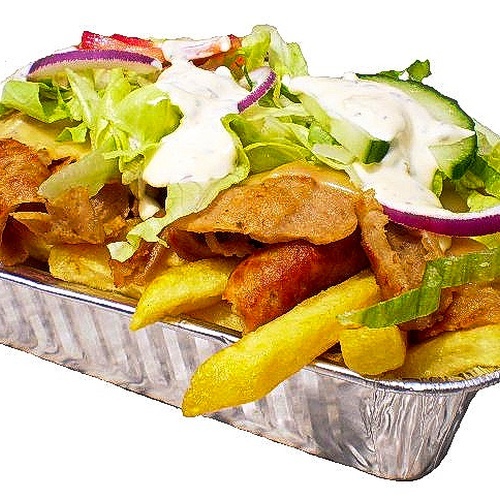 Often the Kapsalon is served with garlic sauce and sambal. 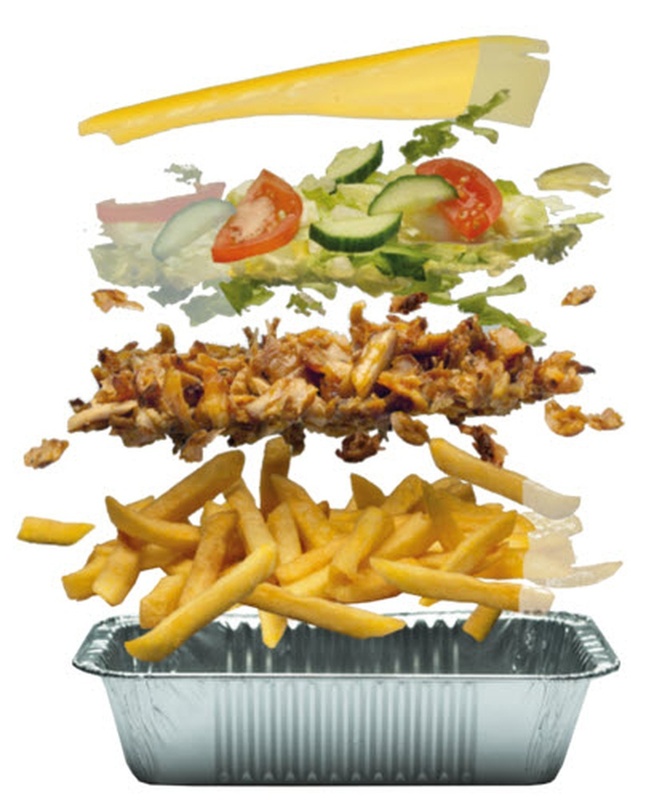 Kapsalon is also prepared with kebab, döner, gyros, chicken or falafel instead of shawarma. 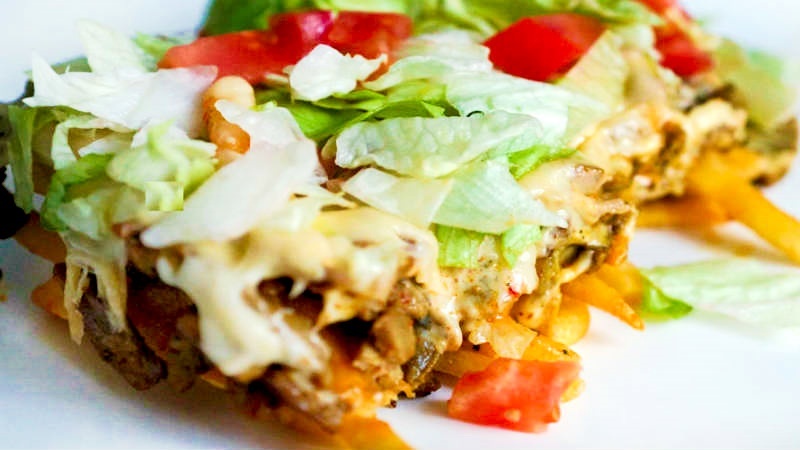 The dish was founded in 2003 when Nathaniël Gomes, a Cape Verdian hairdresser and owner of a hairdressing salon at the Schiedamseweg in Rotterdam Netherlands, in collaboration with the neighboring shoarma store "El Aviva" combined all his favorite ingredients into one dish. 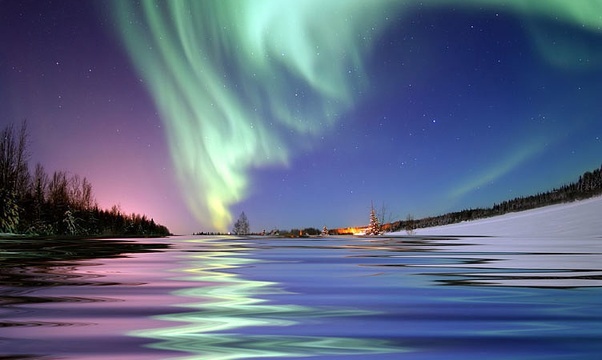 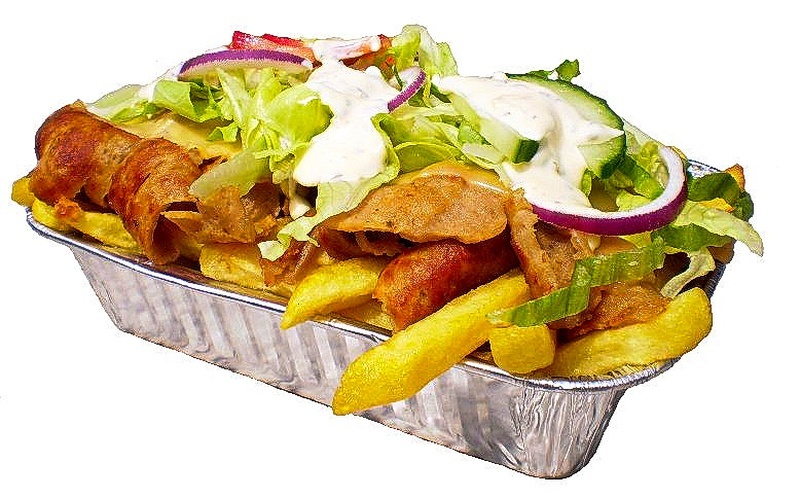 It became a regular order, which got the name "Kapsalon" (hairdressing salon). 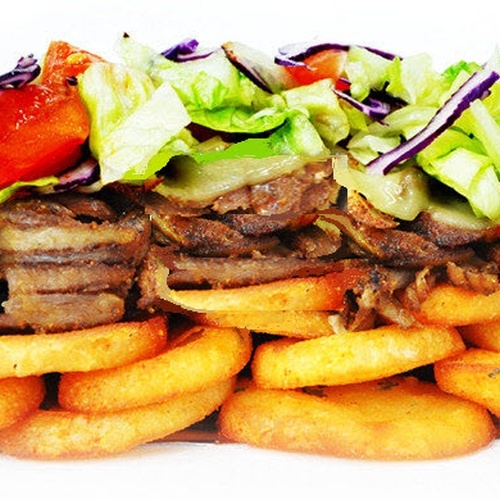 The dish became very popular among young people and is available in many Dutch and Belgian cafeterias and shoarma shops. 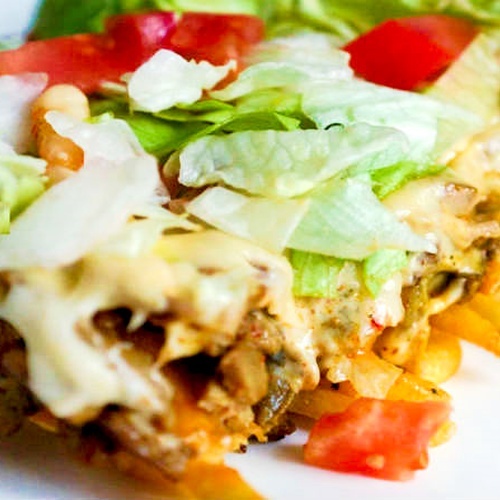 The dish also got popular in Germany. 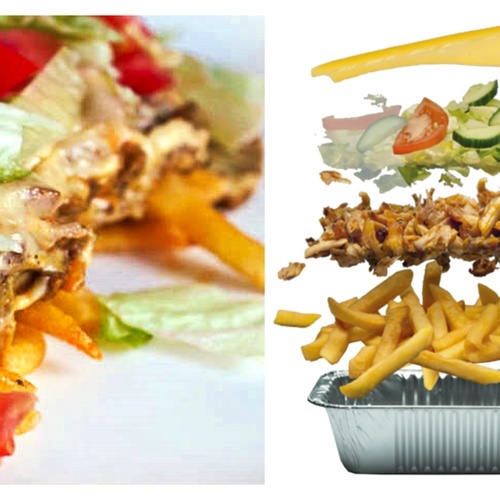 A Kapsalon is very calorie rich: a small serving contains about 1200 kcal and the most common large portion even 1800 kcal.